Groundhog Day is one of my favorite holidays, in part because I like any holiday that involves that animals being adorable. So I thought that it’d be fun to do a couple giveaways to celebrate Groundhog Day – and by celebrate, I mean “they happen on Groundhog Day” because I don’t really know other ways to celebrate it. 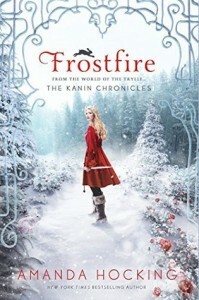 So there are three separate giveaways on Goodreads – one for signed paperbacks of Frostfire, one for signed paperbacks of the special edition 3-in-1 Trylle: The Complete Trilogy, and finally, one for a signed copy of the ARCs of Ice Kissed, which won’t be out until May 5, 2015. Thanks for the giveaway! When I think of Groundhog Day, I think of the movie with Bill Murray reliving the same day over and over again. I hope that’s not your Groundhog Day. AHH! Thank you for the chance! 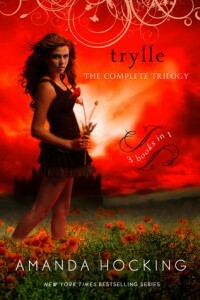 I have the Trylle trilogy boxset. It is one of my favorite series. 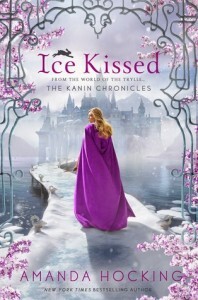 I can not wait to read this series. Thanks for the chance to win!!!! Love her books!!!! ❤❤❤❤ anything written by Amanda Hocking! Good luck everyone! And thank you so much for this opportunity, Amanda! I’m so excited!! !